Built in 2007, this 3BDR/2BA/2CAR home in Wildwood Village has a functional and comfortable floor plan and is conveniently located to almost everything. 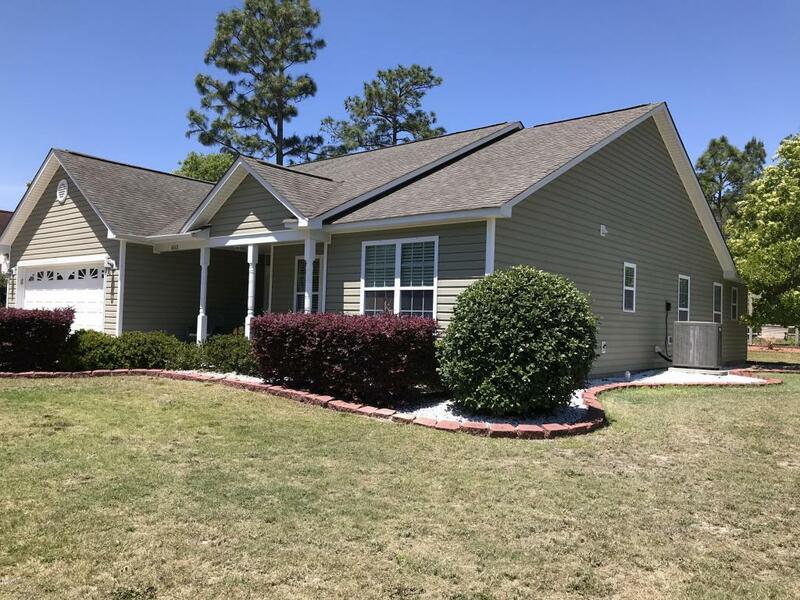 Spacious eat-in kitchen, generous living room with a gas log FP, owners suite with a trey ceiling, walk in closet and bathroom with a soaking tub, shower and dual sinks. There is a utility room off of the kitchen, front porch, exterior shed, irrigation system in the rear yard and a new HVAC in 2016. Private backyard comes with your own swing to enjoy the Carolina days. Easy access from the kitchen to the rear patio for your outdoor enjoyment and entertaining. There is no Home Owners Association (HOA). Just a short drive to the beautiful South Brunswick Island Beaches. Make sure you put this home on your short list to see. Call today!